Mitchell Izunos 100.5-pounder sets the bar for shorecasters in 2014. 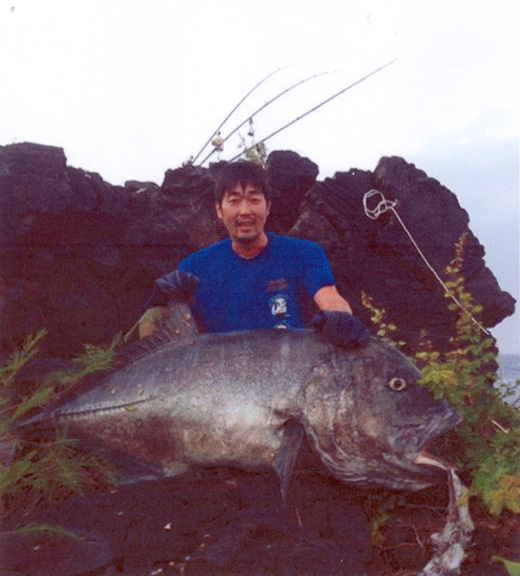 He caught his giant ulua while fishing in South Kona on the Big Island using a Talon 69 pole, Newell P546 reel and 80-lb test Trilene. Mitchell took his big boy to Honokohau Harbor to have it weighed.